The follow up to 2016’s trip hop-influenced Full Circle, Any Random Kindness examines the search for connection in an increasingly fractured world. Throughout, HÆLOS refer to different facets that affect the modern world, combining organic instrumentation with modular electronica to reflect the colliding nature of technology and humanity, the looming climate change, and corrupt politics. Kyoto is taken from HÆLOS’ upcoming album ‘Any Random Kindness’. Released: May 10 2019. For their darkly shaded and radiant debut album Full Circle, HAELOS have found their blues where others go to find pure, uncut joy: the dancefloor. It’s only been a month since The Baeble Bounce House took over SXSW, but the wait to get the newest concert captured on that glorious afternoon has been excruciating. 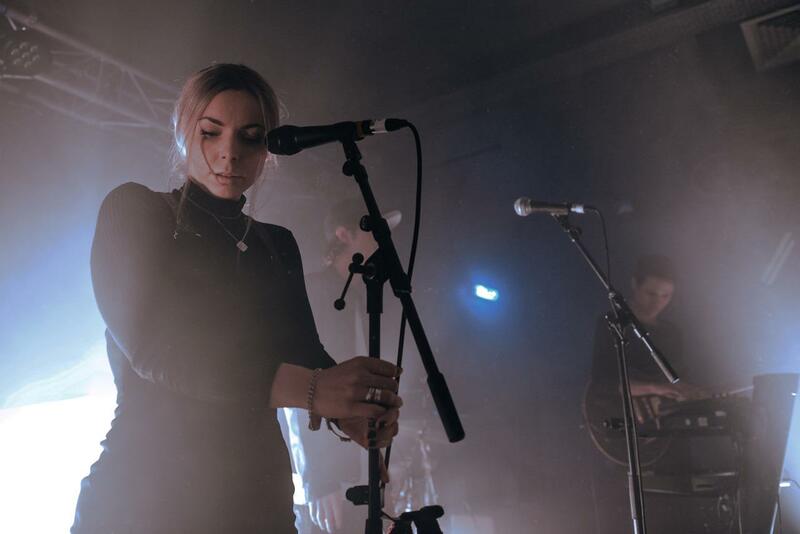 Baeble’s been excited about UK synth-poppers HAELOS; since the moment they crashed our shores early this year with their dark, atmospheric swirls of synth noise and hard-hitting, anthemic vocals. It’s a Florence + the Machine by way of Echo; the Bunnymen kind of sound that is like little else we’re getting in 2016, and when they brought their moody vibes to The Bounce House (on the release day of their spectacular debut, Full Circle, no less! ), it was clear that HAELOS have a hell of a future ahead of them. Here’s another great single from HÆLOS forthcoming debut album ‘Full Circle’, out March 18th and available for pre-order here. The LP will probably be the best album of the year. Video directed by Arthur Delaney. KEXP presents HÆLOS performing live in the KEXP studio. Recorded January 28, 2016. London based trio HÆLOS are ready to release their highy anticipated debut album, FULL CIRCLE, on March 18th on Matador Records. Here’s a new track off the LP, Oracle. London based trio HÆLOS are back with another excellent song, the upbeat but melancholic Massive Attack-like “Pray”, taken from their upcoming debut full length on Matador Records. Below you can watch the accompanying video (Act II) directed by Jesse John Jenkins, along with the video (Act III) for 2014’s “Dust”, also directed by Jenkins (watch Act I here).